Excellent handling makes it fun to drive. 1.5-litre model works very well on uneven UK roads. 2.0 as quick as many drivers would ever want. Well-equipped for the money. No rear seats. 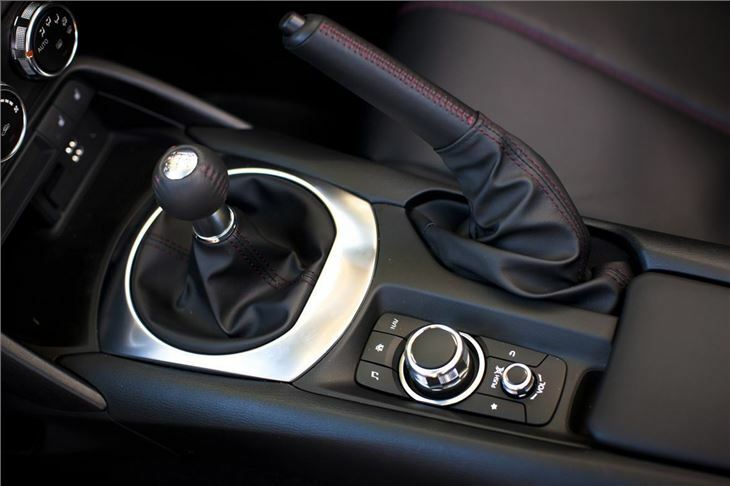 Avoid the automatic gearbox unless you really need an auto. There are two engines to choose from – a 1.5-litre initially available with 131PS and a 2.0-litre with 160PS. These increased to 132PS and 184PS respectively from 2019. 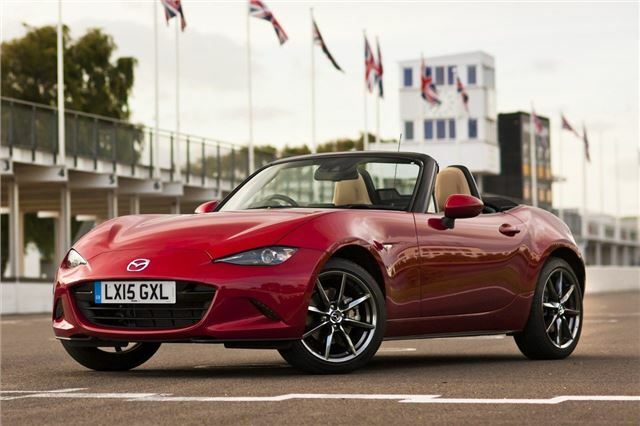 The free-revving 1.5-litre is all most MX-5 buyers will need. 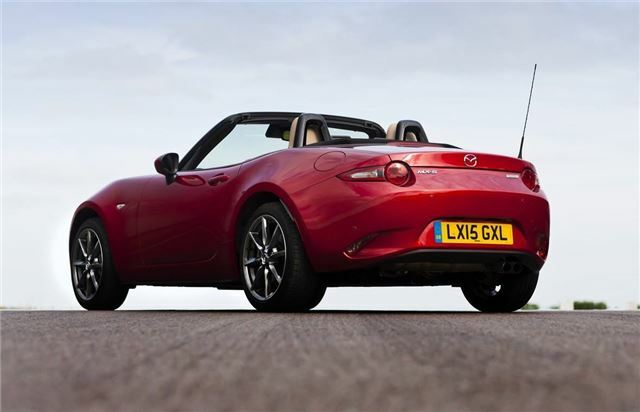 It has an enjoyable exhaust note and sprightly performance, taking 8.3 seconds to get from 0-62mph. From 2019, the 2.0-litre takes just 6.5 seconds to reach 62mph, meaning it feels genuinely quick. 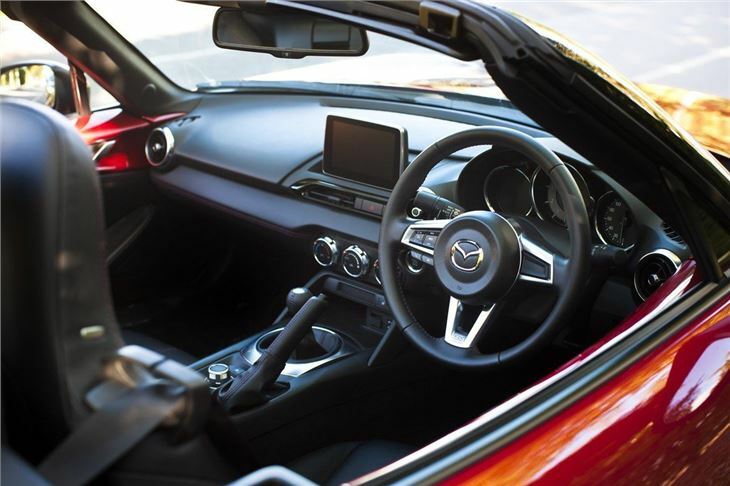 It also benefits from a limited-slip differential to sharpen up the handling over the 1.5. Those extras aren't really necessary for drivers who don't participate in track days though. The 1.5-litre might not be quite as immediately direct as the 2.0-litre, but it rides slightly better and works wonderfully well on pockmarked British roads, providing huge amounts of fun and driver feedback, even at low speeds. The fun-factor is ramped up even more when the fabric roof is down. This is a simple, manually operated affair with a latch near the rearview mirror. The handbook recommends getting out of the car, but it can easily be folded up or down from the driver’s seat, even with a seat belt on. It takes a few seconds and no real strength is required. 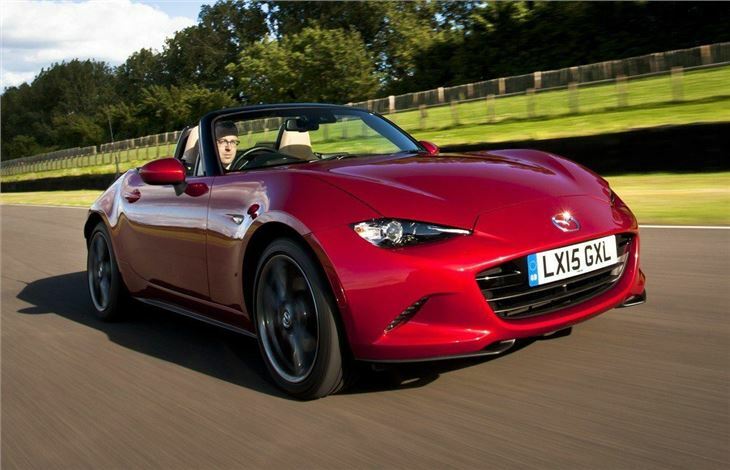 Fun though the MX-5 is, there is no escaping its tiny size. The cabin is quite cramped for taller drivers and there aren’t many places to store odds and ends like change or drinks. 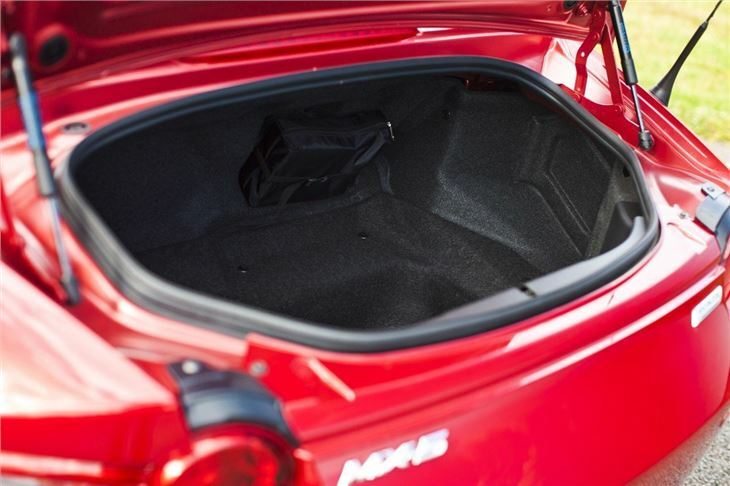 The boot isn’t particularly spacious either – although it does have enough room for some weekend bags or a trip to the shops. 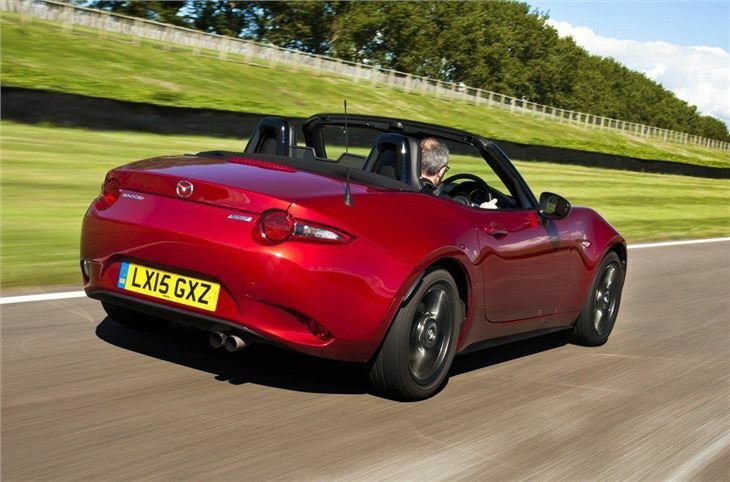 But criticising the MX-5 for its practicality is missing the point. If you want excellent driving dynamics and top-down motoring at a fairly reasonable cost, there is simply no better alternative. There are some great hot hatches for similar money, but none can match the MX-5 for pure, simple, back-to-basics fun. I'm in love with driving again.